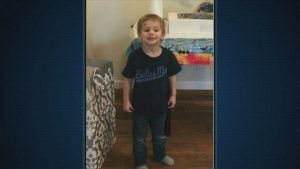 CRAVEN COUNTY, N.C. (WITN/NBC) – State and federal law enforcement agencies are now assisting the Craven County Sheriff’s Office in the search for a missing 3-year-old. Casey Hathaway has been missing now for more than 20 hours. More than 200 volunteers resumed the search for the child Wednesday morning on Toler Road in Ernul. Hathaway was reported missing Tuesday afternoon and was last seen around 1:45 p.m. after authorities say a grandmother was watching him and two other children. Sheriff Chip Hughes says nothing has been ruled out in the child’s disappearance, including abduction. But volunteers searching for the boy are hoping for the best. An FBI spokeswoman confirms their agents are in Craven County to assist and says right now, there is no reason to believe anything other than the child wandered off.